The onboarding process for every new employee is not merely done by just greeting them “Welcome!” and the rest is history. 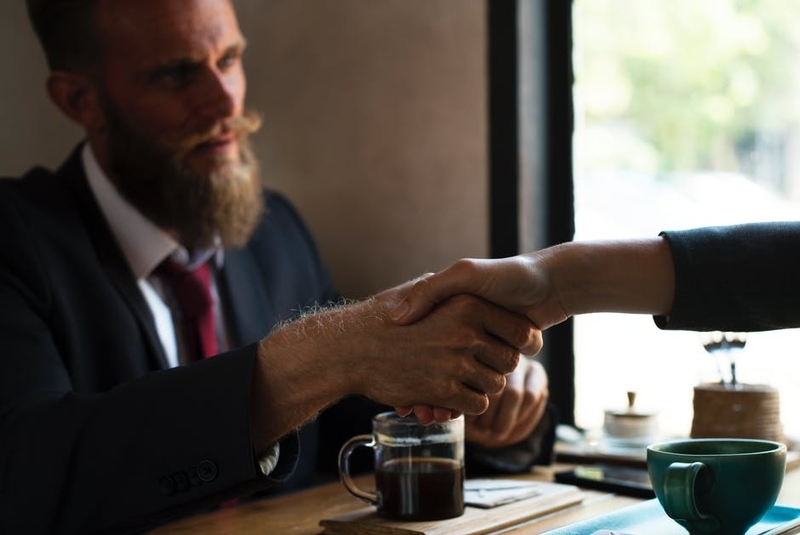 Having a solid and effective onboarding process for the new hires is one way of giving them a strong foundation in the business they are hired in. An employer must keep in mind that having an effective onboarding process plays a vital and crucial role in the success of a business and committing the mistake of treating it as unnecessary is also something an employer would be unnecessarily regretting about in the long run. 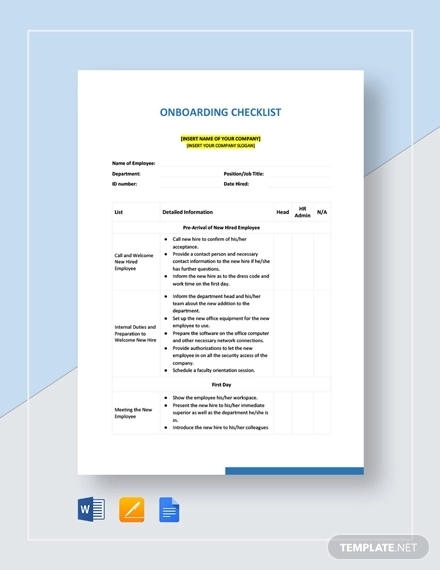 Creating a working checklist for every step in the onboarding process of every new employee would be the best solution for every employer who has and does not have all the time in the world to waste. 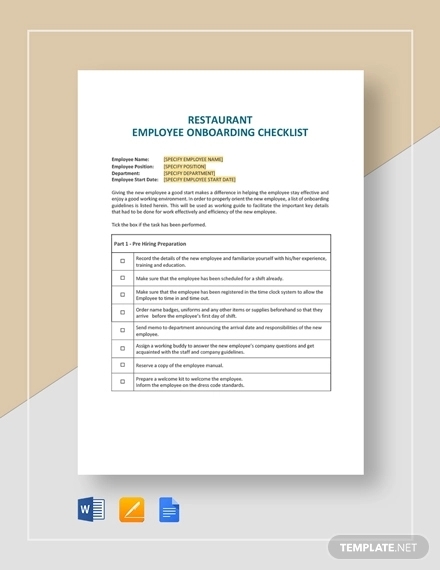 In this article, every step of the new employee boarding process has a three-point checklist that would aid the efficiency of both the employer and the employee. First days for new hires are usually unproductive, but if an employer is prepared, he will be able to avoid any complications on the rest of the onboarding process and make the new hire productive in no time. Here is a 3-point checklist every employer must prepare before the first day of every new hire: paperwork, printouts, and place. Paperwork includes all documents that every new hire is required to sign and fill out such as an employment contract and various forms. An employer, or a human resource manager, must also make sure that all of these documents are printed out before the first day of the newly hired employee. Printing these documents during the first day of the employee would not make a good impression about the company. Printouts may be the itinerary, the manual of the HR policies and best practices and procedures, and information about the company. Through itineraries, the employee would be aware of the timeline of activities throughout the onboarding process. The policies and procedures manual would also orient him with the company’s rules as well as the sanctions for every violation. The information about the company can consist of the company’s vision statement, mission statement, and objectives. And like with the paperwork, all these must be printed out before the new hire comes in for work for the first time. The workplace consists of the workplace and the people who are already in the place. By preparing the workplace, it means that the new employee’s working area has already all the essential equipment and materials needed for the new employee to set on the right foot. Preparing the workplace also means preparing the location, like the conference room, where the orientation would be held in, as well as the equipment needed for the orientation, like the laptop and the projector. Almost all first days on the job might be stressful for both parties, but it can turn it into a stress-free one by following this 3-point checklist where all there is to do is to orient these Ps to the newly hired employee: Place, People, and Projects. It is important to make sure that the new employees know even the smallest details of the workplace he will be in. The new hire should be informed about every nook and corner of the workplace: the location of the restroom, break room and even the location of the trash bins. By orienting the place also means to give all the necessary paperwork and printouts the new hire need in order to be a part of and acquainted with the place. By orienting the new hire with the employees up to the managers and supervisors, he would know who the key people he should be approaching. It is also important to orient the people who have been working for a long time in the company about the arrival of a new employee so that they can be approachable enough to the new hire. Even if it is the new employee’s first day, he should have something to do. Do not waste each other’s time by making the new employee sit without doing anything. Keep the new hire busy by giving him projects and activities that would be of great use for him and the business in the duration of his onboarding process. The onboarding process does not end at the end of the new hire’s first day. More often than not, it continues up to 60‒90 days from the new hire’s first day and some even last for over a year. There are three I’s the employer must continue doing for their new employee’s onboarding process: Initiate, Integrate, and Invest. The time allotted for the new employee’s orientation during his first day would not be enough for the new hire to take in all the needed information about the company and of his job responsibilities. Employers must initiate a regular meeting with the new hire in order to keep track with his adjustment in the company. Meetings could be formal and/or informal as long as the employer would be able to generate feedback from the new employee about his onboarding process. By continually integrating the new employee into the system, the sooner the employee would get a hang of the job and get productive. It is not only with the job that the employee has to be integrated with but it also includes the people in the workplace. It would also be best to assign the new employee with a mentor since this can help him in his adjustment period. Through mentoring, the new hire would be able to develop in a wholesome manner and this would benefit both the new hire and the employer. Investment does not only come in numbers but it also comes in the form of the new employees’ development. In fact, they are the best investments every employer should always give attention and time to.What good will the big numbers do if there will be no people who will help the employer in keeping up with those big numbers? Investing in the new employee’s development is also a way of investing in the development of the business as a whole.